The Christmas break-up party and/or gifts to employees can be exempt from Fringe Benefits if a few rules are followed. The cost can be exempt as either an exempt property benefit or an exempt minor benefit. 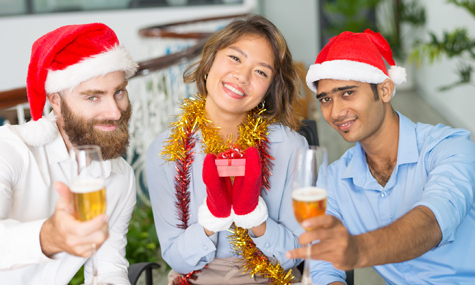 Costs like food and drinks provided for employees as part of a Christmas party, on a working day on business premises and consumed by current employees of that business. (Applicable when the property benefits exemption doesn’t apply, i.e. because the party is held at a restaurant or separate venue). Gifts are also considered separately from the Christmas party, so provided the cost of a gift and the party are each less than $300, then both would be exempt from FBT. The minor benefits threshold of less than $300 applies to each benefit provided, not to the total value of all associated benefits.